Rufus Wayne Youngblood, Jr., 1949. Scan of photo kept in Peggy Youngblood's wallet. On this day in 1924, Rufus W. Youngblood, Jr., was born. His biography is detailed on this website (“About the Author”) and is available from many other sources (Life magazine, the NYT, Washington Post, AJC, Macon Telegraph, etc.) and Wikipedia, so I won’t duplicate it. 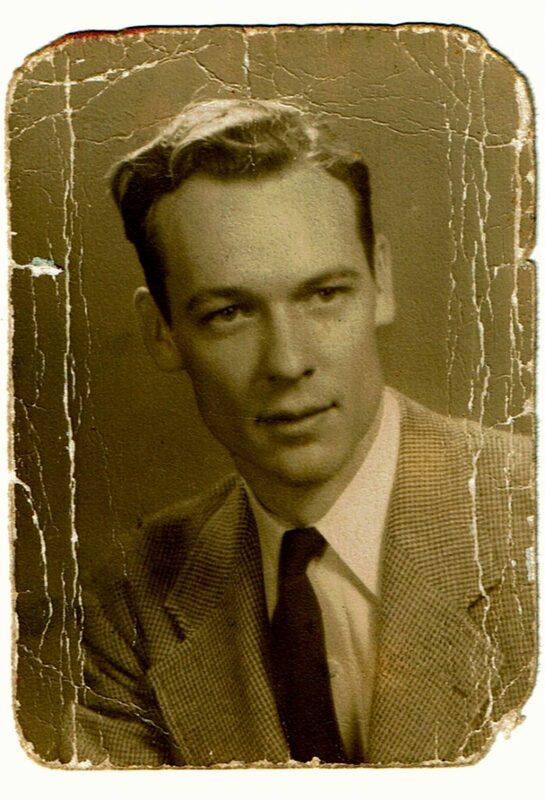 Instead, I will share some lesser-known facts about my father on this day which would have been his 95th birthday. Eventually, Uncle Sam prevailed, and my father quit trying to override the use of his given name. He became “Rufus” (or “Rufe”) during WWII and afterward. My mother, however, always called him Wayne. Peggy was his rock. My parents met in grade school, and they attended West End Baptist Church together. They started dating during high school, and Peggy Elizabeth Denham was his yearbook sponsor at the all-male Atlanta Technological School. He was always very proud to be associated with her. She was his inspiration when he was away at war and a source of strength for him thereafter. 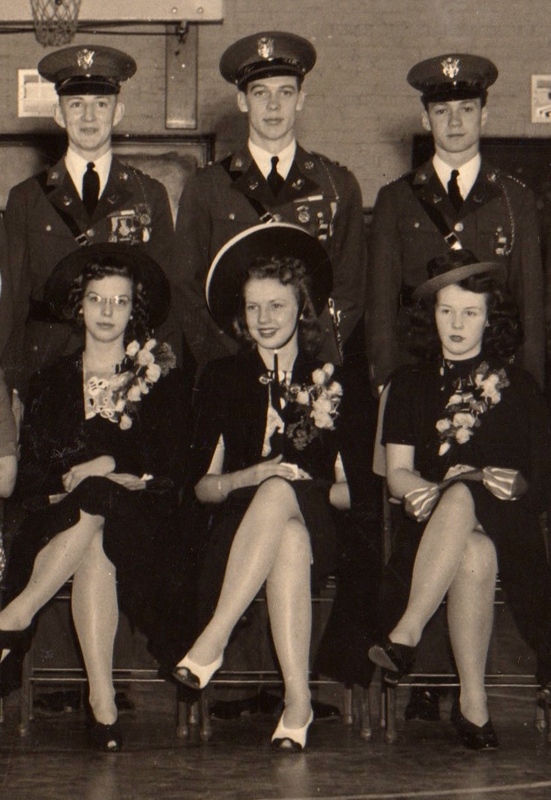 ROTC Lt. Col. Wayne Youngblood with Peggy Elizabeth Denham (middle), Tech High School Senior Sponsors, Atlanta, Ga., May 1941. He loved, and was loved, by two separate families. His father, lauded as a hero for preventing a train collision, was killed when my father was 15-months-old. Until his mother was able to support her young family, he was fostered by his next-door neighbors, the Hiram C. Bond family, in Macon, Georgia. My father maintained close ties with them throughout his life. His first job was as a paperboy. Raised during the Depression, he was always very frugal. As a boy, he worked delivering newspapers for the Atlanta Constitution before school. He maintained employment around his education thereafter. He was a student leader. He loved school, was extremely intelligent, and considered learning a great opportunity. He maintained excellent grades and was also a very social person and a natural leader. 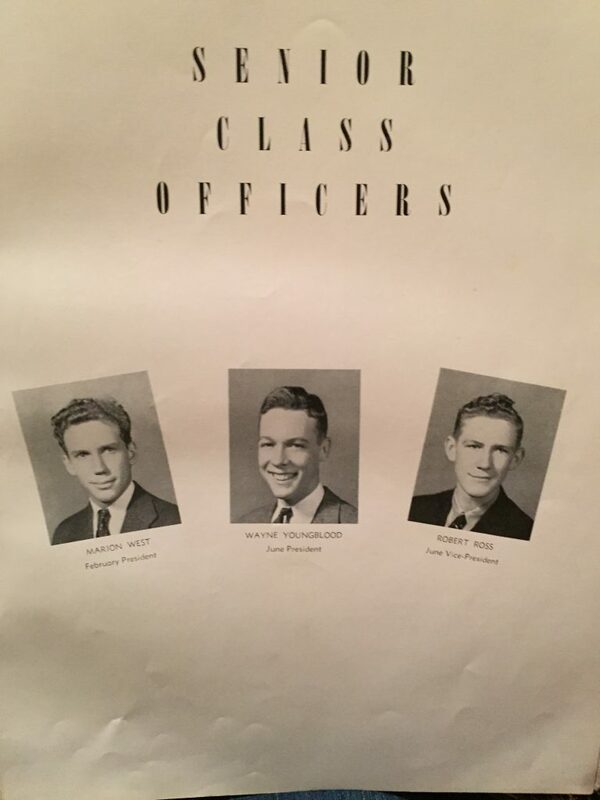 In high school, he was elected by his peers to be the president of his class and of multiple other organizations. He loved all things Georgia— except “the University of” during the annual Georgia vs. Georgia Tech football game when he sided with Georgia Tech. He loved peanut brittle, boiled peanuts, and drank Coke, not Pepsi, since the former originated in Atlanta. He claimed that Macon’s Nu-way Weiners were superior to all hotdogs with the Varsity’s running a close second. He was a nature-lover and enjoyed being outside. An avid Boy Scout, he earned his Eagle-Scout award when he was young. He respected animals, even snakes, and cared for many wounded or stray animals throughout his life. Lastly, he was a wonderful father. Robert McG. Thomas Jr (October 4, 1996). “Rufus W. Youngblood, 72, Agent Who Guarded Johnson”. The New York Times. Retrieved May 6, 2012. ^ Vandenburg, Jack (November 28, 1963). “Agent Describes Role of Shielding Johnson”. The Times-News. 88 (285). Hendersonville, North Carolina. Retrieved May 30, 2017. ^ Associated Press (November 27, 1963). “Johnson Says Agent in Dallas Screened Him With His Body”. The New York Times. p. 21. Wright, Sylvia (November 5, 1971). 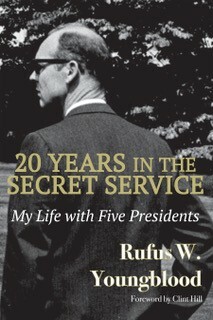 “Hero Rufus Youngblood gets the Secret Service brush-off”. LIFE. Retrieved May 7, 2012.